Always your own digital contact card available to share easily. Your own complete network in the PRI-NET app and online reachable always and everywhere. More contact information about connections without any effort. Download the app and log in with LinkedIN, Facebook or register. When you open the app, you enter your own new PRI-NET contact list including your own account. You can open your own account to view, adjust and create your own contact cards. Allow the PRI-NET app to access contacts of your device. When any contact of your device is using the PRI-NET app, this contact will appear in the app as a 'suggested contact'. You can open these contacts right away to see and use their public information or you can send them a request to connect within PRI-NET and share your information real time with each other. With the gray button 'My Device' you will see your contact list from your phone / device. Contacts can be copied one by one from, or to your PRI-NET contactlist. PRI-NET will have available online information already in your card(s). You can make, adjust and complete your own digital cards. You can make up to four different cards for business or private use. Add some pictures and logo for a nice appearance of your cards. After saving, your changes will immediately be available for all your connections within PRI-NET. If you would like to see how it works, watch this preview video. The most important parts will be shown which will give you a clear view of how the PRI-NET app works. The great advantage of the PRI-NET app is the availability of all contact cards at any device on the internet. The application is already useful just for you. TEST: Share cards with yourself. Contact information in PRI-NET is online. However, that doesn't mean it is public. With each card you can decide to set it 'Public' or keep it secured ('Private' in the app). You have control over your own information. Public cards / information can be shared in all possible ways. The Private cards are secured and only available to connections you give permission to. • You can use every possible way to share. • These cards are not secured and it is possible (not easy) to find by outsiders. • Only visible for connections within PRI-NET. • This information is secured by encryption. Nobody can access the card without your permission. • This card can be shared with other PRI-NET users. • This card can be shared by mail to anyone. There is also an option to set your whole account at 'Private' instead of 'Public'. In that way nobody can find your account at PRI-NET. You only have the possibility to share and connect with Public PRI-NET users. ADVICE and standard setting: leave your account at 'Public'. Keep your private cards secured and leave this card at 'Private'. 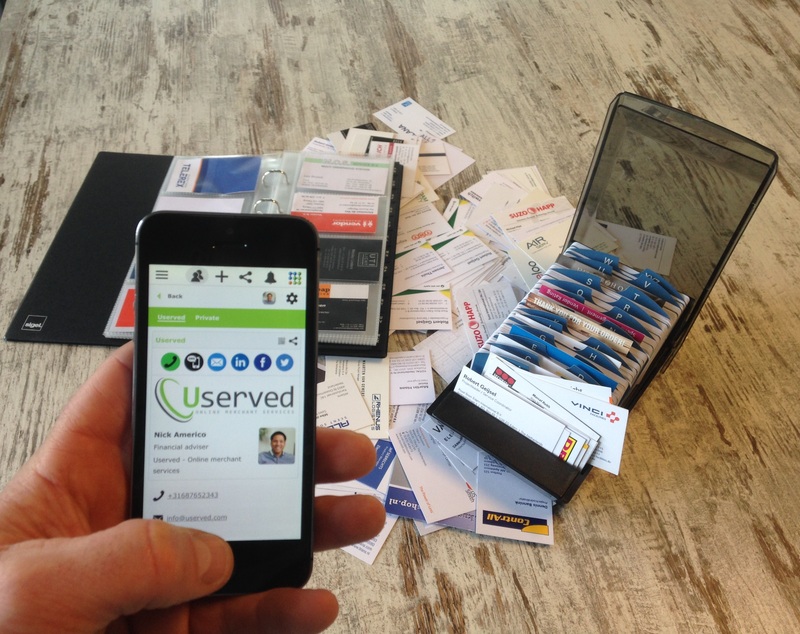 Leave your business card at 'Public' in order to use all functionalities. Most people are familiar with contactless payment by card. That is also possible with your phone nowadays. PRI-NET uses this functionality to share information from phone to phone. You can show your 'Public' contact card at another phone contactless with NFC. That's fun! Open the share icon within the app, on a phone with NFC the 'Share by NFC' function is visible. You will be instructed to keep the back of both (Android) phones together and push once on your phone in order to send your card. The other phone must be unlocked before action.